SO005. 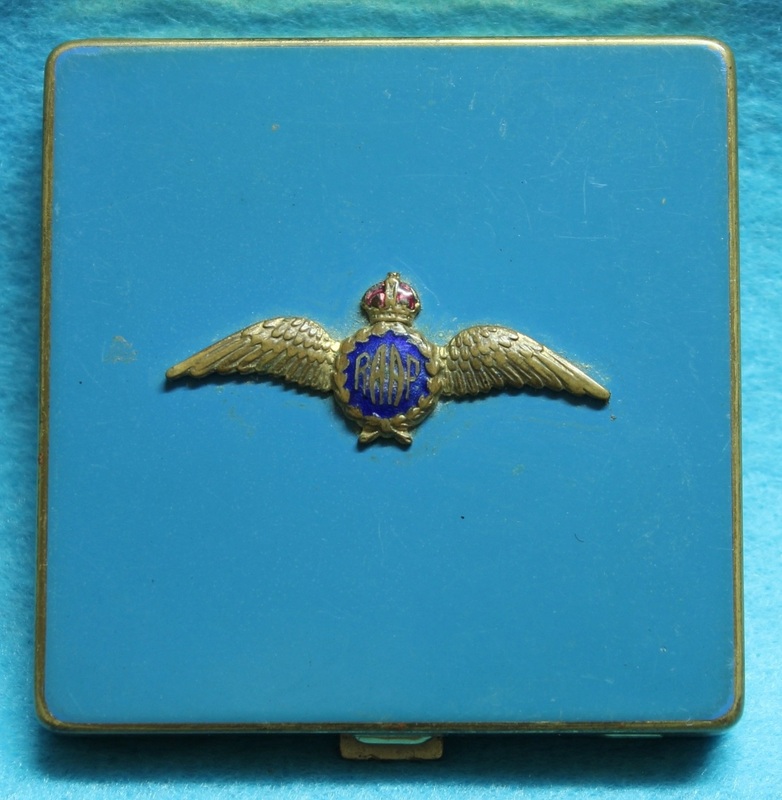 A square light blue ladies compact with gilt and enamel pilots badge, stamped Vogus Granitie, Made in England. SO010. 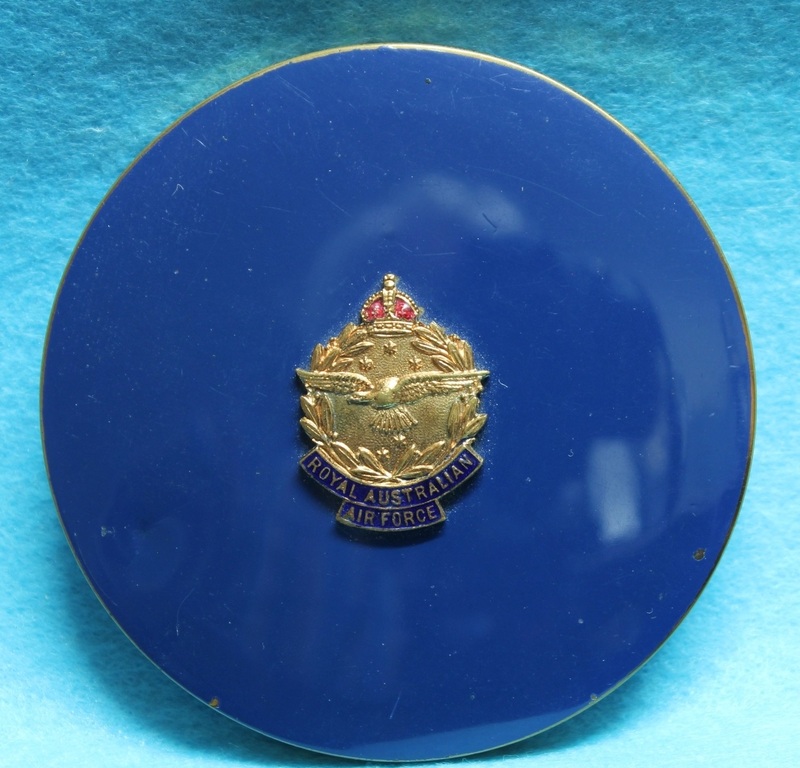 A circular blue and gold ladies compact with a gilt & enamel Air Force Association badge, stamped CREST inside. SO017. 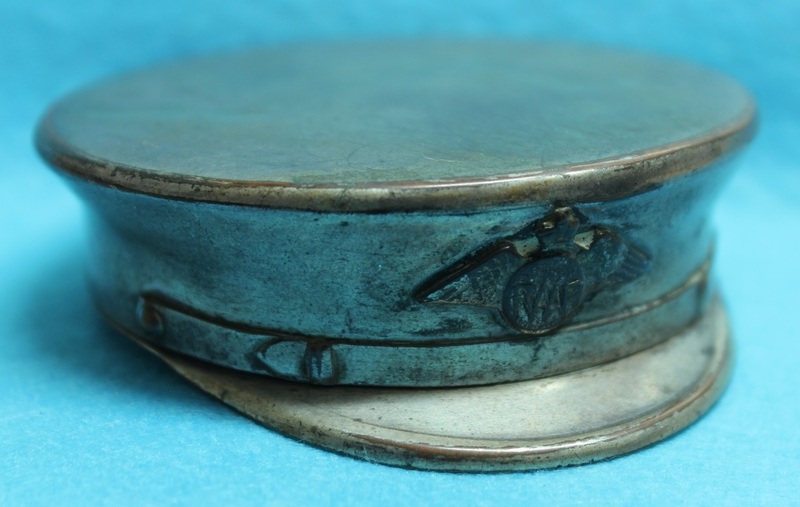 A chromed brass trench art ladies compact in the shape of an officer’s hat. 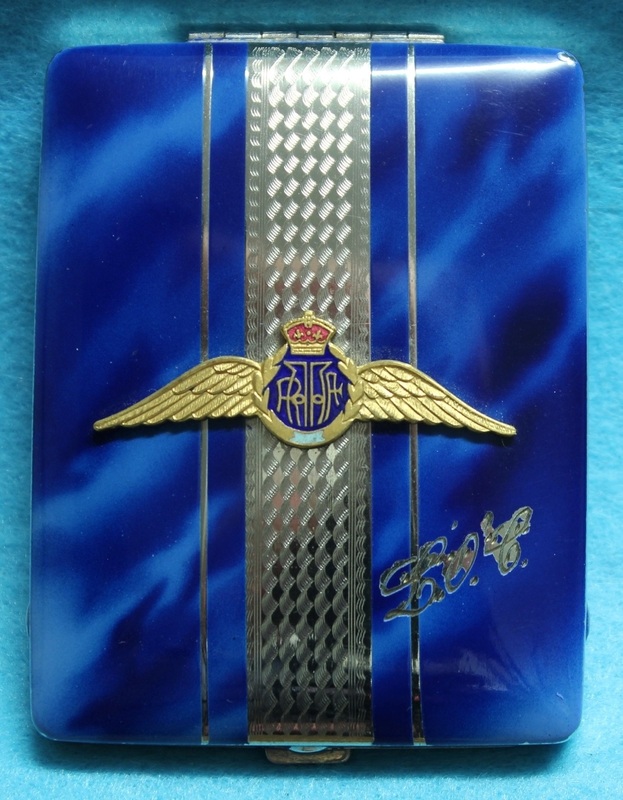 SO068. 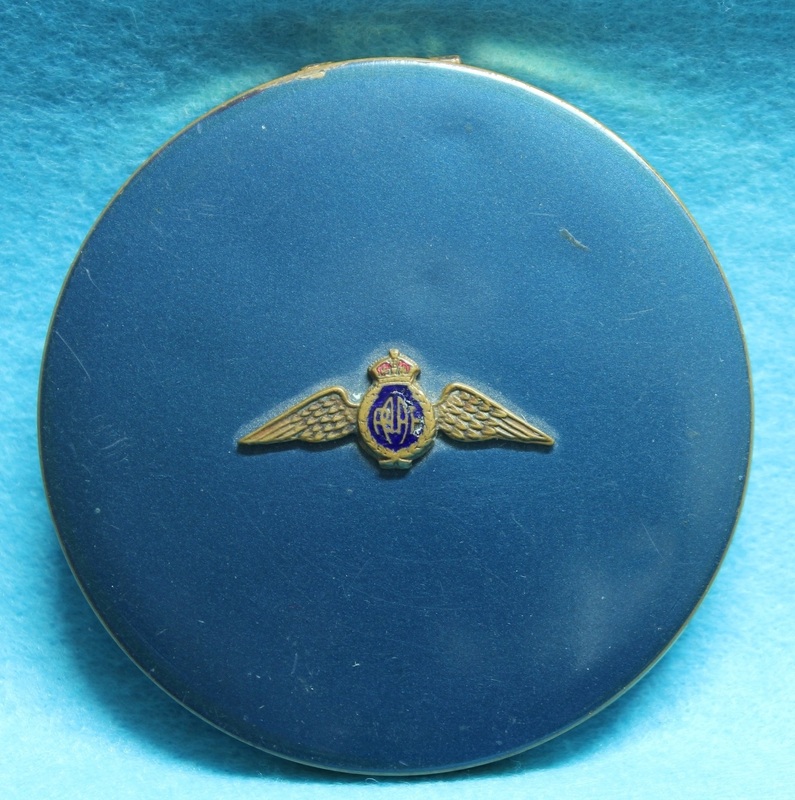 A circular dark blue enamel ladies compact with gilt and enamel pilot's badge. SO070. 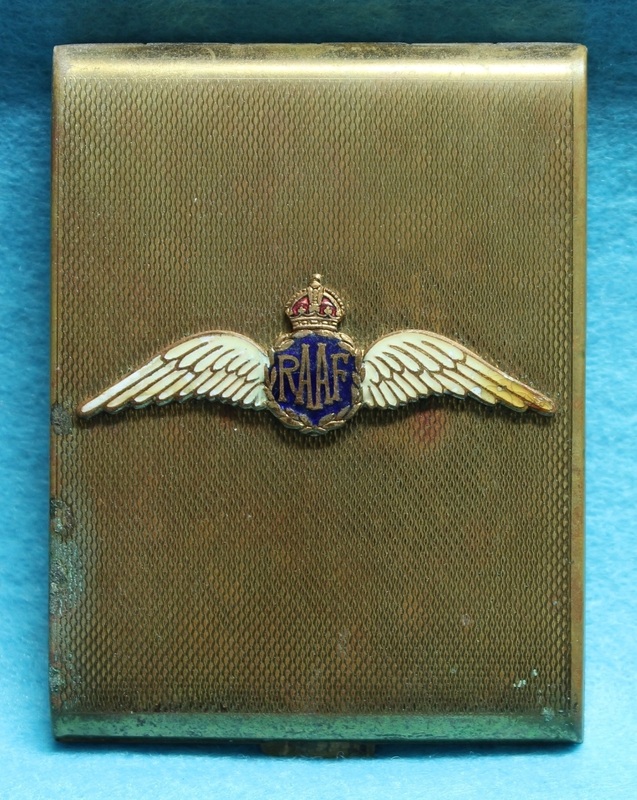 An oval chrome ladies compact with gilt & enamel RAAF badge. SO218. 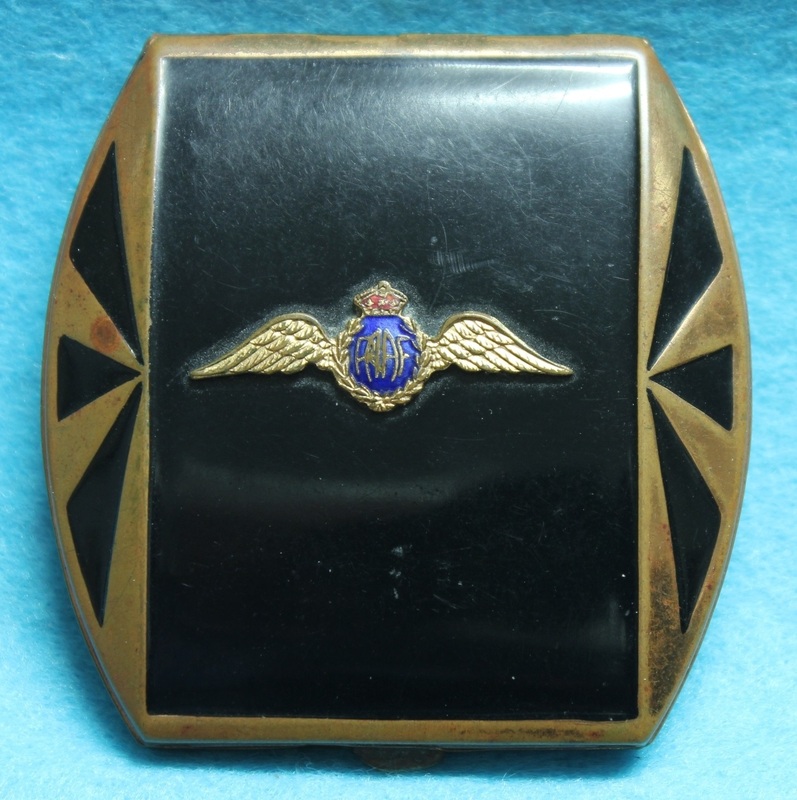 A black and gold ladies compact with gilt and enamel pilots badge, made by Barwyn Australia. SO237. 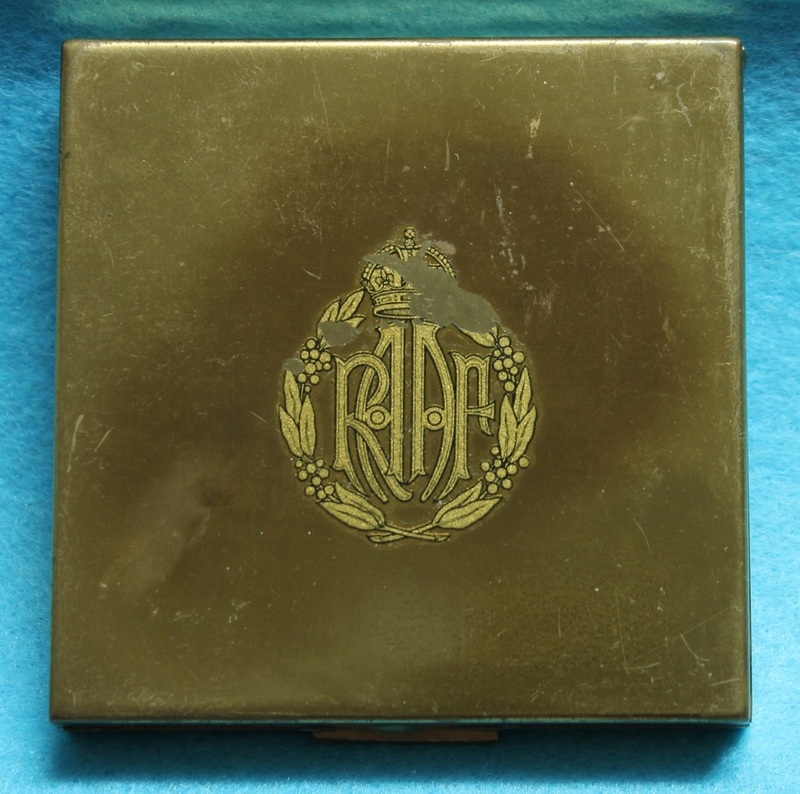 A square gilt brass ladies compact with an airman’s cap badge decal, made by Handley. SO305. 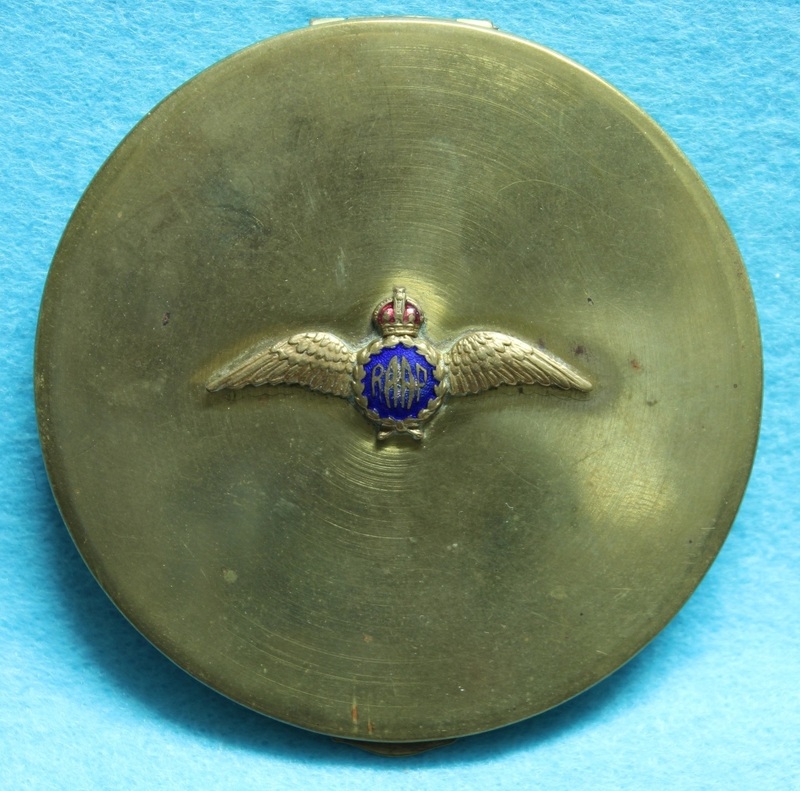 A circular gilt brass ladies compact with gilt and enamel pilot's badge, made by Vogus Granitie. 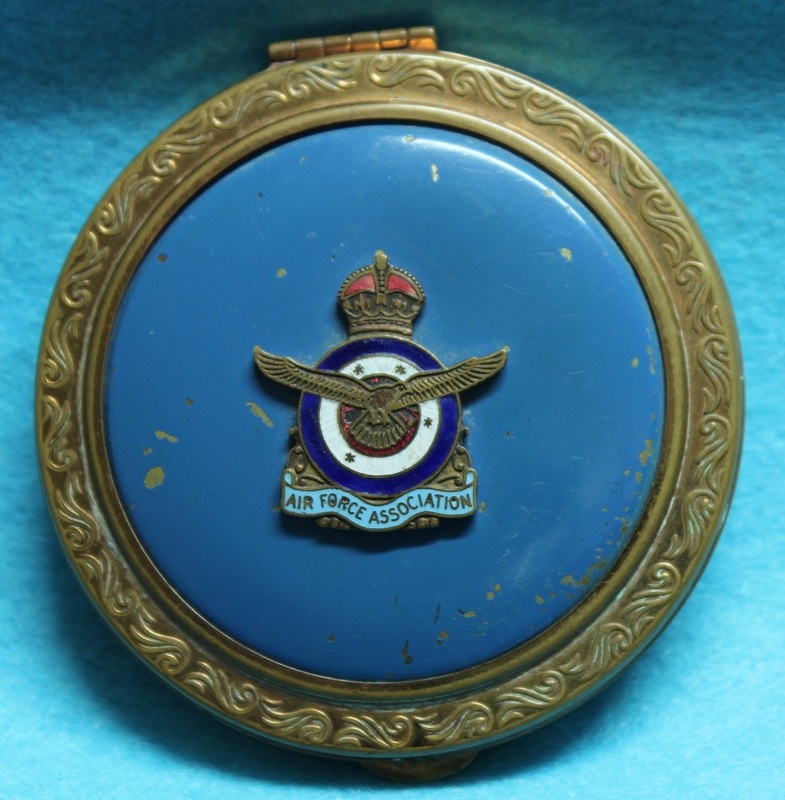 SO380. 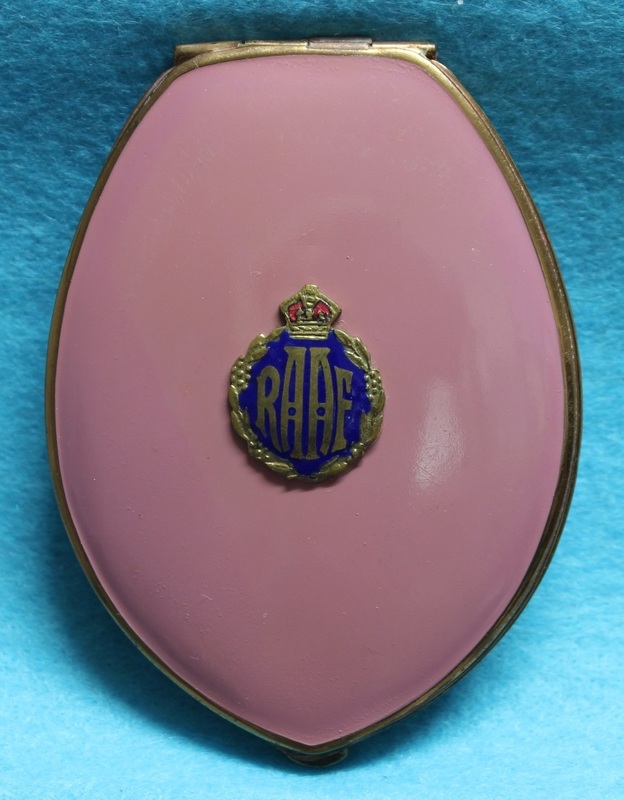 An oval pink enamel ladies compact with gilt and enamels ranks badge, made by Barwyn Australia. 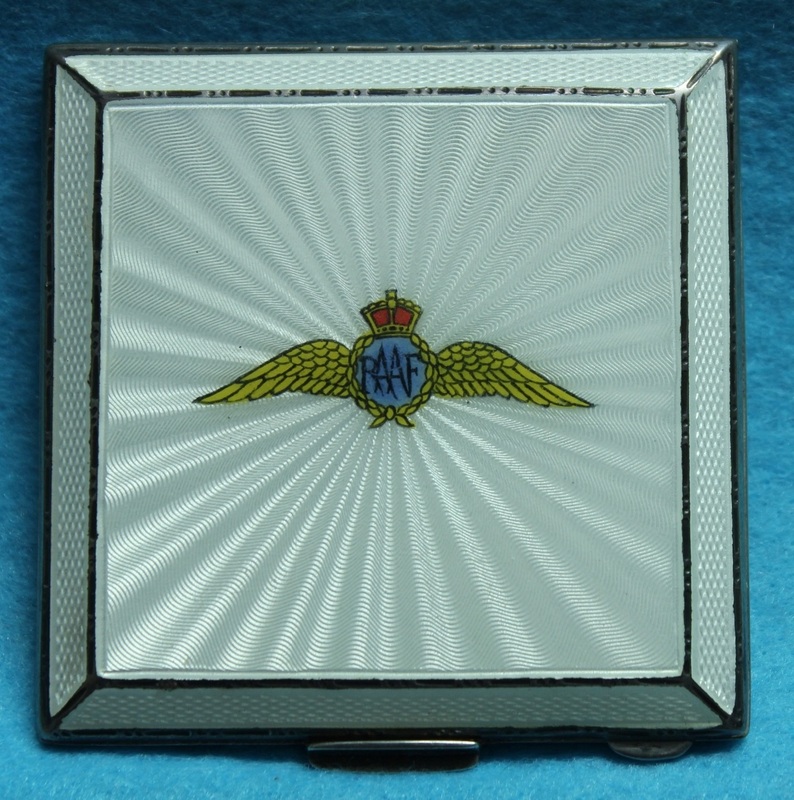 SO385. 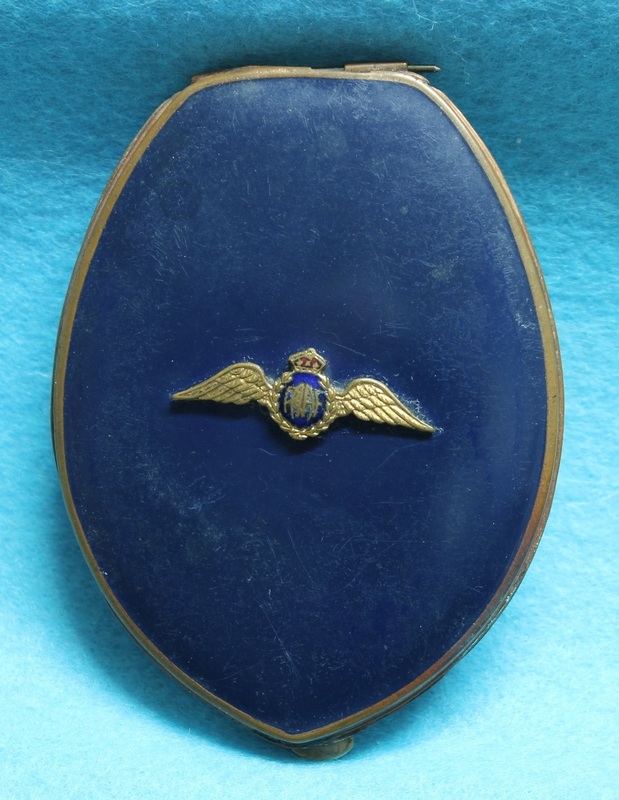 An oval dark blue ladies compact with gilt and enamel pilots badge, made by Barwyn Australia. 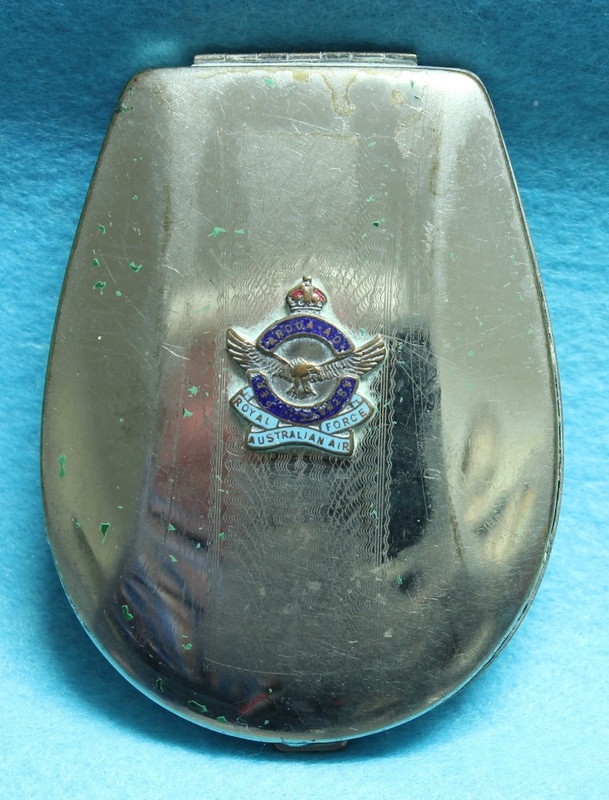 SO388. 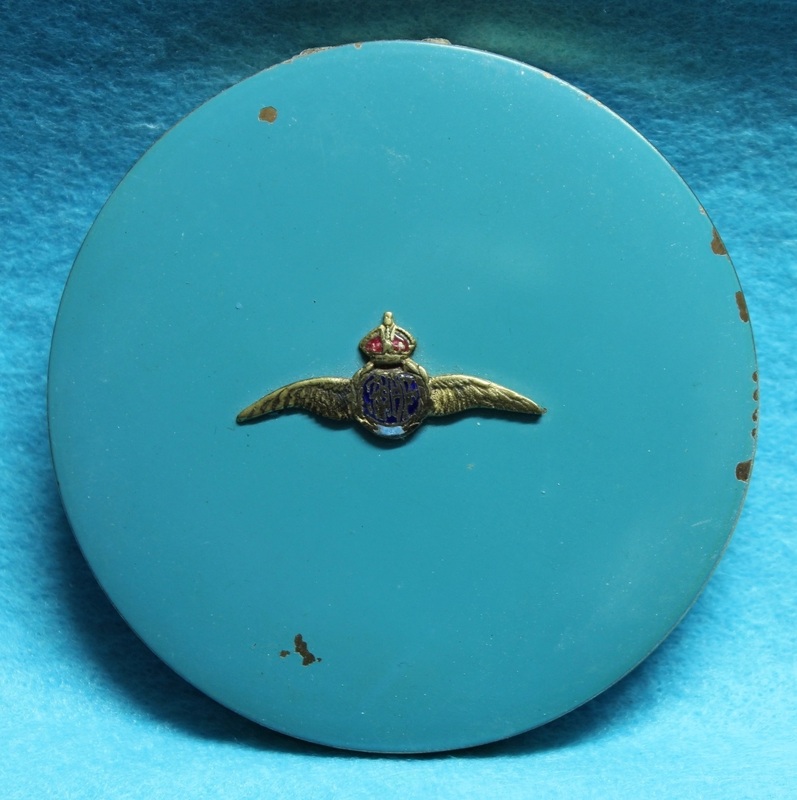 A circular light blue ladies compact with a gilt & enamel pilots badge. 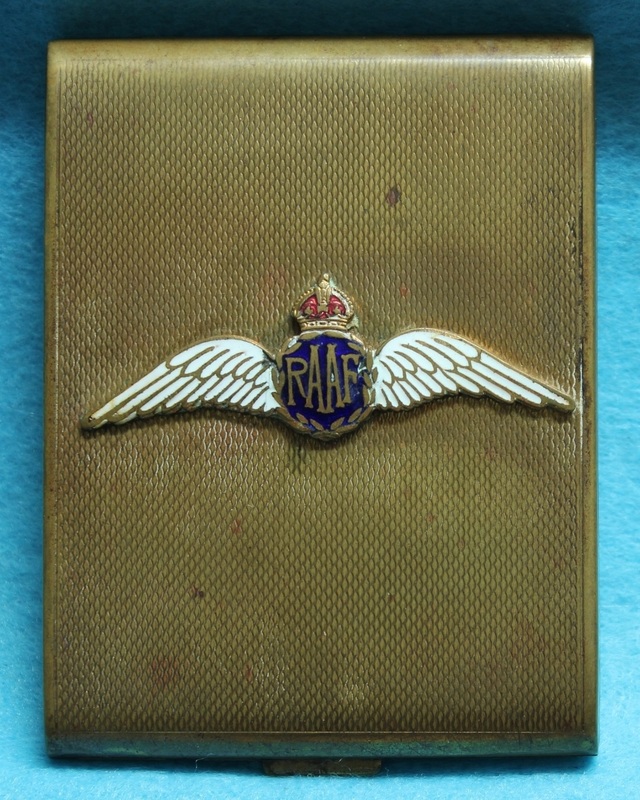 SO389. 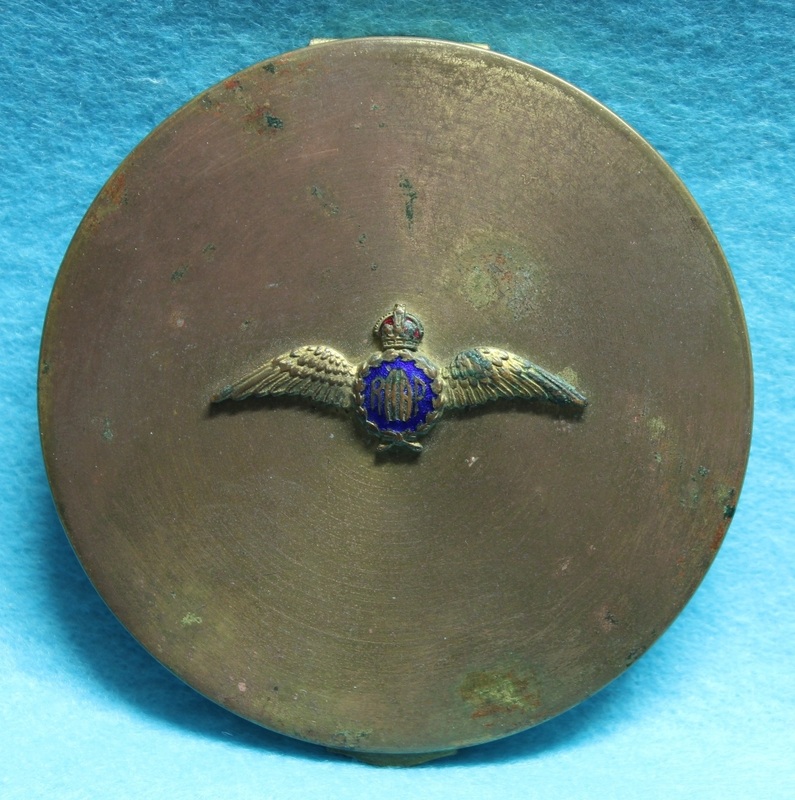 A circular gilt brass ladies compact with gilt and enamel pilot's badge, made by Vogus Granitie. 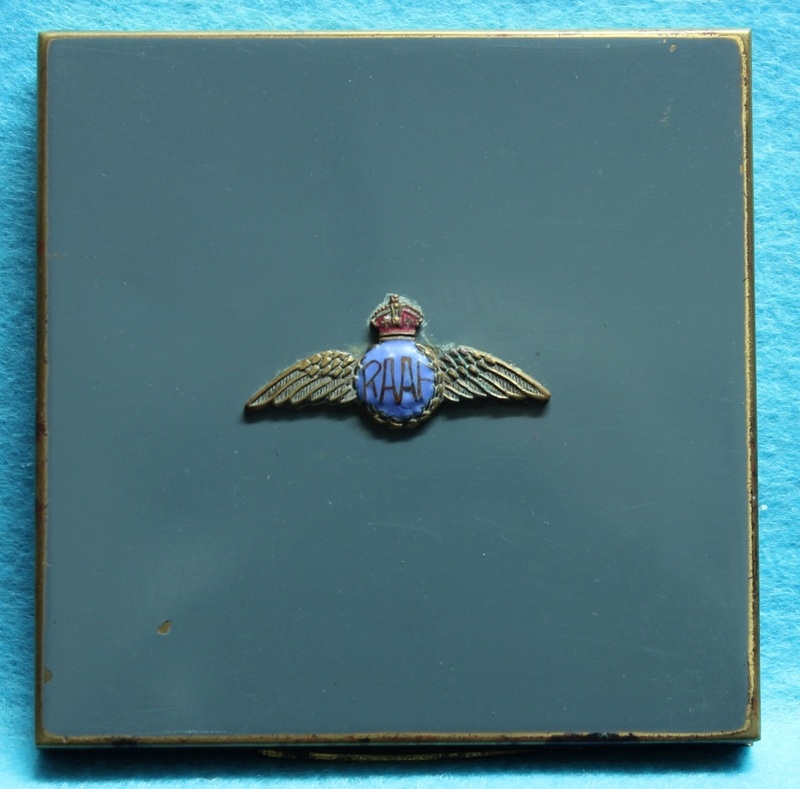 SO455. 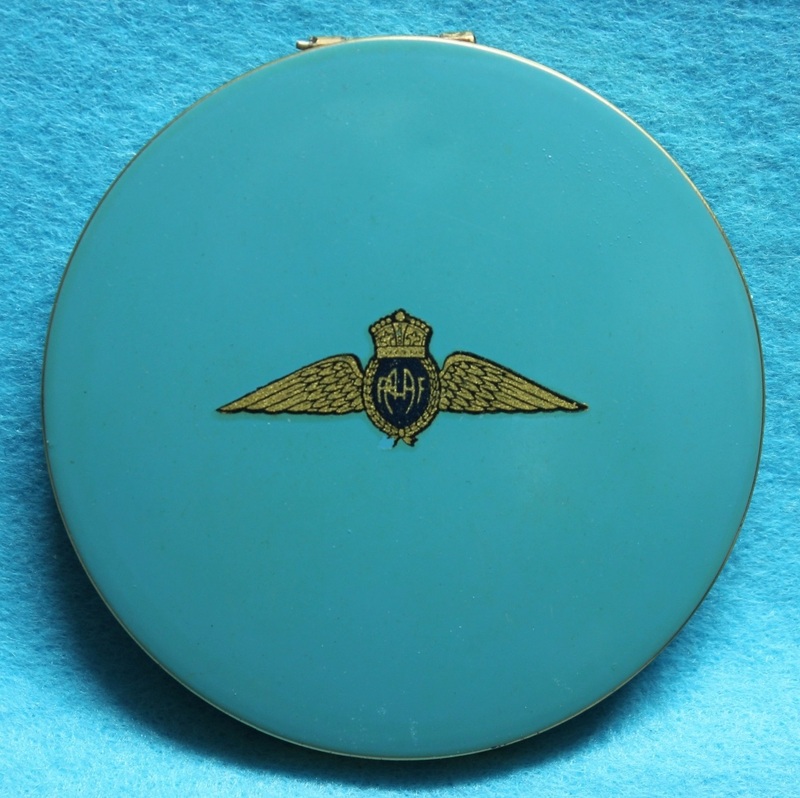 A circular light blue ladies compact with pilots badge decal. SO525. 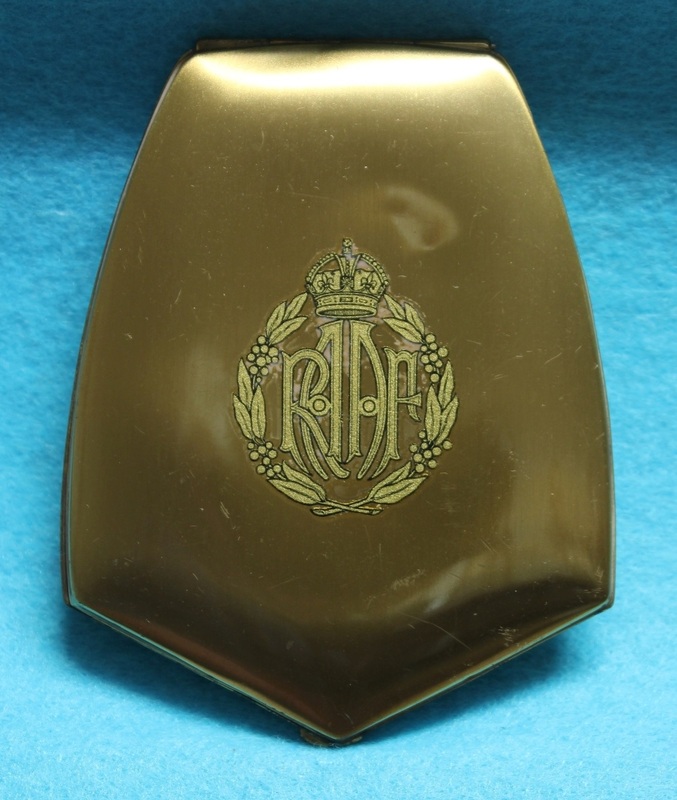 A gilt brass ladies compact with a ranks badge decal.